Responding to the Year of Mercy’s call to make Pilgrimage 35 inmates of Mother Theresa House, Borduria made pilgrimage to the Door of Mercy at Christ the Light Shrine in Miao on 10 February 2016. 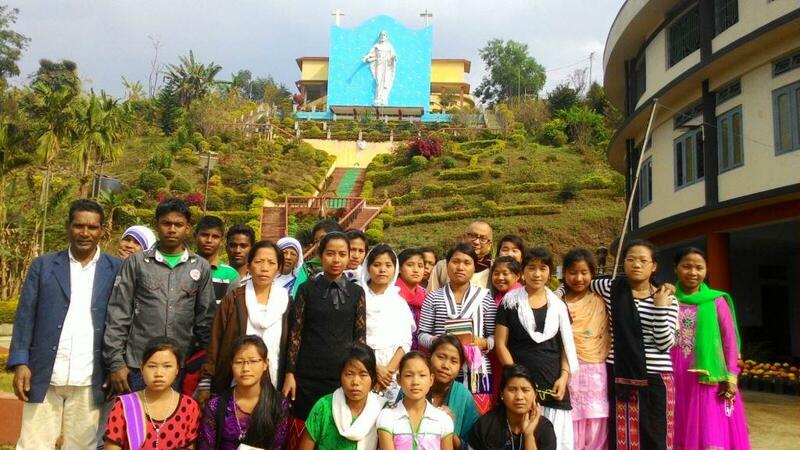 35 pilgrimes along with the MC Sisters at Borduria reached Miao on 10 February and made Way of the Cross and and Confession and received special blessings. Bishop George, celebrating Holy Mass for the pilgrims appreciated the MC Sisters for the great works of Charity and Mercy they are doing in the Diocese and wished them abundance of God’s Mercy.